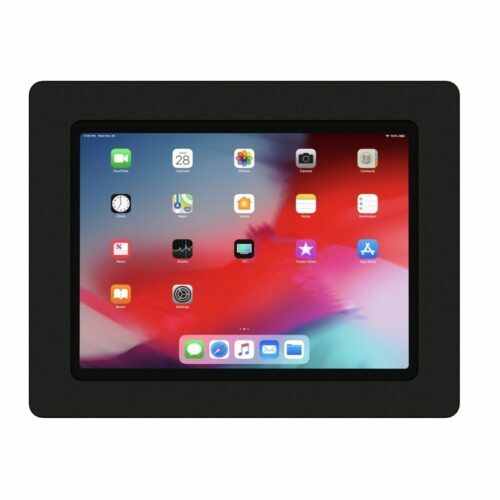 Secure your technology with tablet POS enclosures and mounts. Simply pair any of our tablet enclosures with a variety of POS mounts to create the perfect solution for your application. 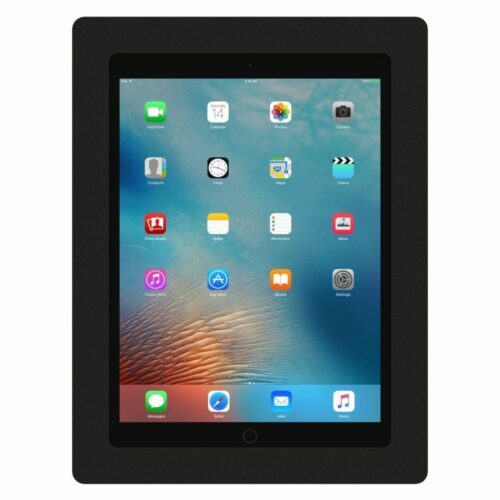 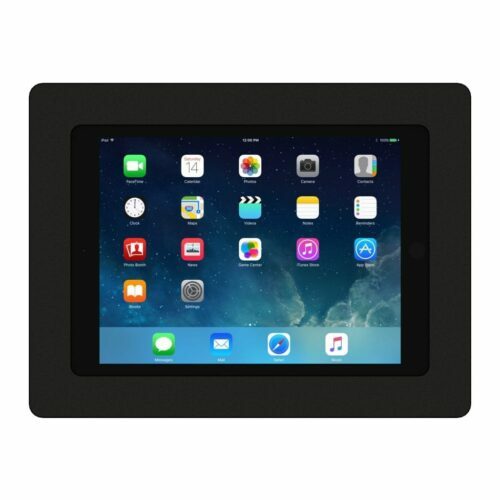 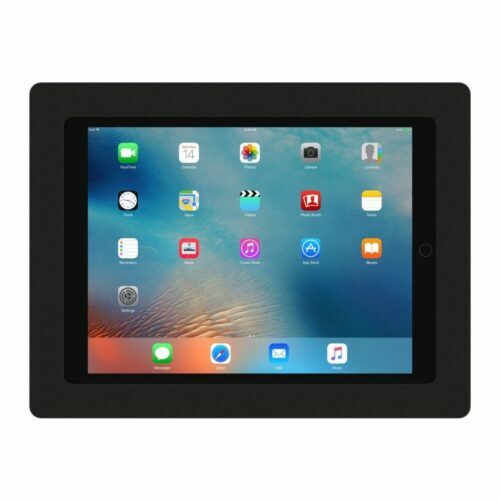 Our tablet enclosures are engineered like no other enclosure on the market today. With attention to details like a mic hole, speaker grill, interior pads for tablet protection, and a power button service knockout, each enclosure is precision honed from a solid piece of high strength resin – not molded or formed – for uncompromising rigidity and long lasting beauty. 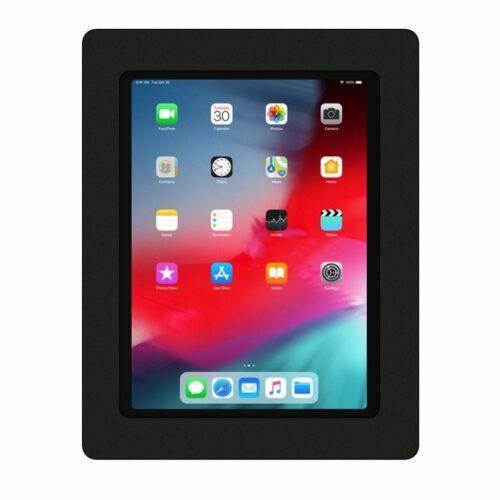 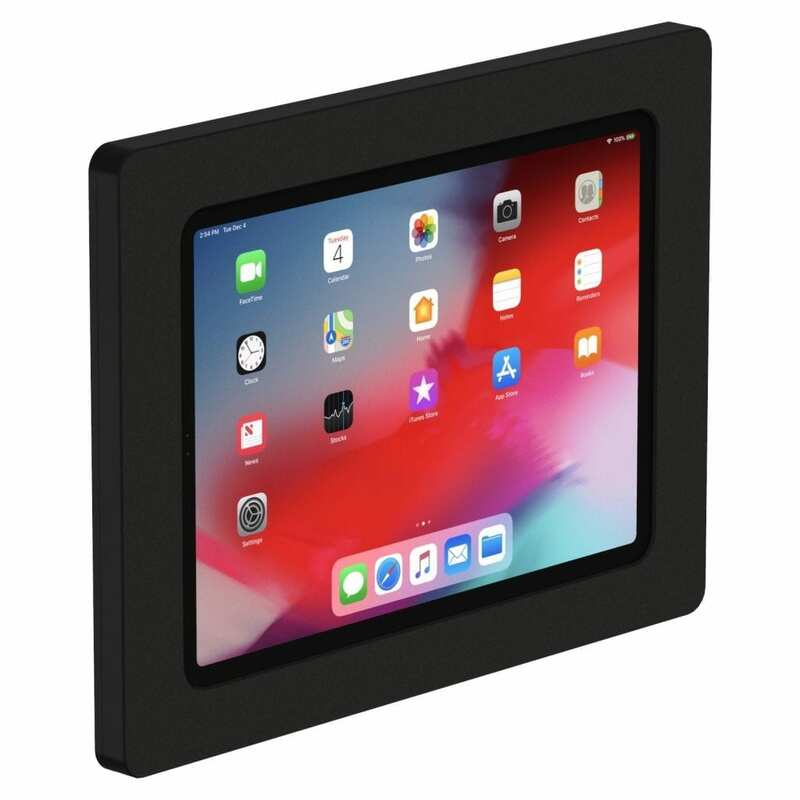 VESA Compatible - All tablet enclosures are VESA 100 (100mmx100mm) compatible making it easy to combine with our flexible mounting solutions (including our counter, surface, floor and wall mounting options). Cable Management - We thought of everything, from fitting your Lightning or USB power cables, to a perfectly sized opening for your 3.5mm headphone jack and cord. 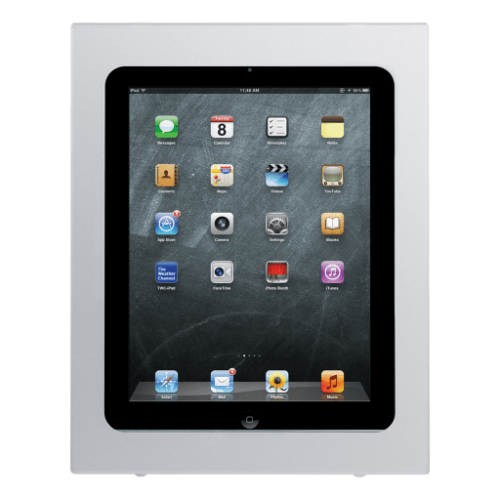 Our enclosure was designed to fit your needs. Clean Look - Cables are discretely routed through the back of the enclosure to maintain a quality image. Power Button Access - Our unique enclosure design provides a choice between open or limited power button access. 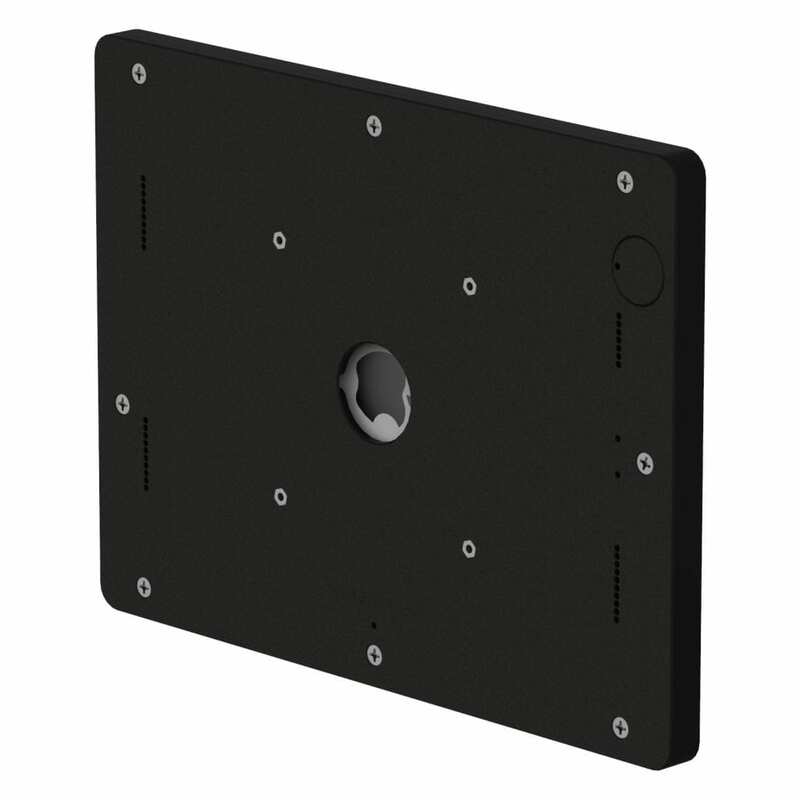 A tiny thru hole provides the ability to actuate the power button using a paper clip or other tool. 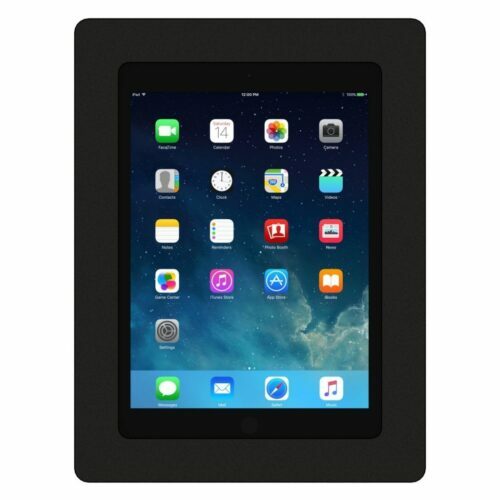 Alternatively – for free, unfettered power button access, the cover is removable as needed!